The common used aluminum sheet thickness are 0.3mm, 0.5mm, 0.8mm, 1mm, 1.2mm, 1.5mm, 2mm, 2.5mm, 3mm, 4mm, 5mm and above. The common grade of aluminium sheet are 1100, 1050, 1145, 1060, 1070, 2a12, 2024, 3003, 3A21, 3004, 5a05, 5005, 5052, 5083, 6a02, 6061, 6063, 7a04, 7075, 8011, etc. The common temper of standard aluminum sheet are T351, H112, T651, T7451, H112, h2-h4, H111, H116, hx1-hx9, T651, T4, T6 and so on. The common aluminum sheet specification are: 0.15mm-500mm thickness, width 100mm-2000mm, length 1000mm-9000mm. The common aluminum coil specification are: thickness 0.05mm-15mm, width 15mm-2000mm. Thermal insulation aluminum sheet roll specifications: thickness 0.3mm-0.9mm, width 500mm-1000mm. 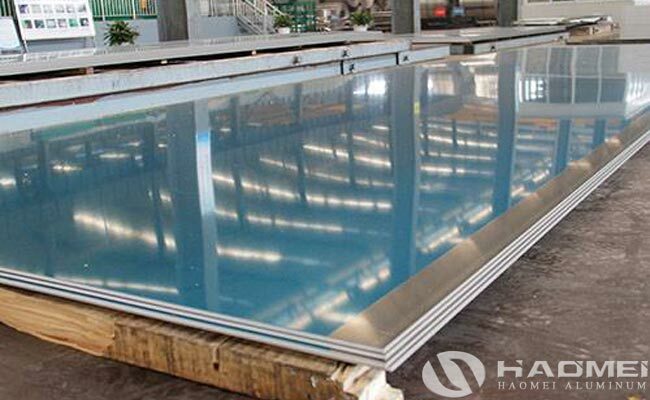 The common aluminum trad plate specification are: thickness 1mm-10mm, width 1000mm-1500mm, length 2000-3000mm.